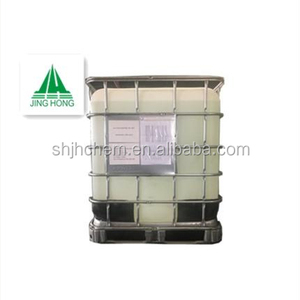 Product Packing Factory Information Shanghai Jinhong Chemical Co. ,Ltd ,headquartered in Xiangyang, Hubei Province with 3 manufacturing sites. Our production capacity of acrolein, glutaraldehyde and vinyl ether series products currently rank the first in Asia. Glutaraldehyde as Biocide in the pulp and paper industry. 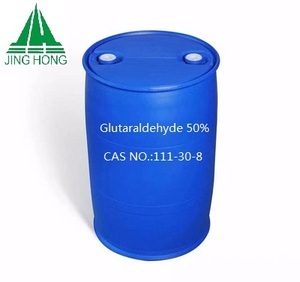 Glutaraldehyde CAS:111-30-8 CAS No. Glutaraldehyde also has excellent sterilizing properties. 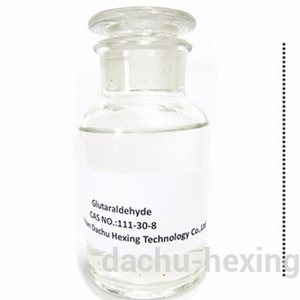 Quality spec of Glutaraldehyde CAS111-30-8 . 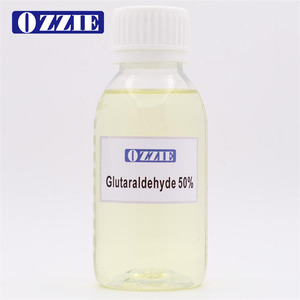 Glutaraldehyde Product Name: Glutaraldehyde 50% Chemical Formula: C5H8O2 U.N. : 111-30-8 The product is pale yellow transparent liquid, mainly used as disinfectant, tanning agent or in water treatment, paper making, oilfiled etc. 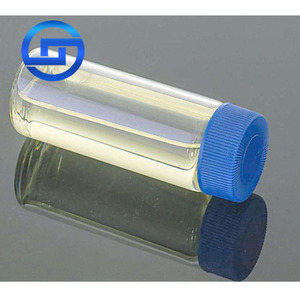 Specifications: Item Standard Pharm grade Appearance Colorless to yellowish liquid Content , % &ge;50.0 Chroma ( Pt-Co ) &le;80 pH value 3.0-5.0 Methanol 5% max 0.5% max Package: 220kg/drum or 1000kg/IBC. We create added value by appreciating the needs of our customers &ndash; with competitive and innovative solutions. We create added value by appreciating the needs of our customers - with competitive and innovative solutions. But if you really need a few quantity of chemicals and cannot find the suppliers locally, we can also help you. Glutaraldehyde is reactive in property, and liable to polymerize and oxidize, which will react with compounds containing active oxygen and nitrogen. The reaction of the product with protein is mainly carried out between the carbonyl group of the former and the amino group of the latter. It is active, can be easily polymerized and oxidized, and it is an excellent cross-linking agent for protein. The reaction of the product with the protein is mainly carried out between the carbonyl group of the former and the amino group of the latter. ThFine focuses on chemical industry for more than 10 years, we are trying to be a leader in the chemical industry. Q3.How can I get the price of products9 A: Please give the name of products with its purity, exactly quantity and destination port to us. 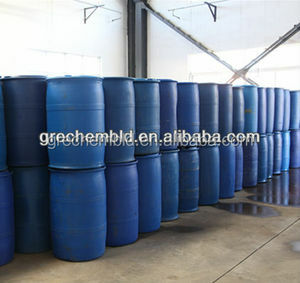 Alibaba.com offers 260 biocide 111-30-8 glutaraldehyde 50% products. About 48% of these are water treatment chemicals, 31% are leather auxiliary agents, and 27% are petroleum additives. 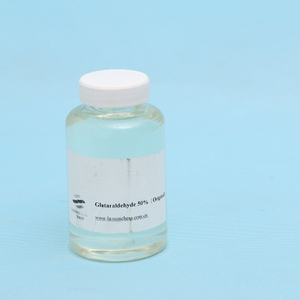 A wide variety of biocide 111-30-8 glutaraldehyde 50% options are available to you, such as free samples. 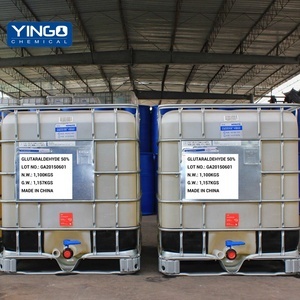 There are 178 biocide 111-30-8 glutaraldehyde 50% suppliers, mainly located in Asia. The top supplying countries are China (Mainland), India, and Italy, which supply 96%, 2%, and 1% of biocide 111-30-8 glutaraldehyde 50% respectively. 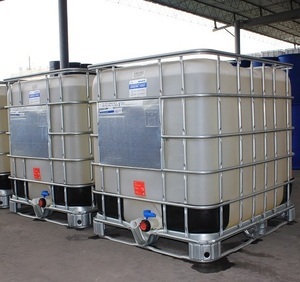 Biocide 111-30-8 glutaraldehyde 50% products are most popular in Mid East, Eastern Europe, and Africa. You can ensure product safety by selecting from certified suppliers, including 18 with ISO9001, 13 with Other, and 2 with OHSAS18001 certification.